On Aug. 14, 1975, eight daring thieves ransacked 148 massive safe-deposit boxes at a secret bank used by organized crime, La Cosa Nostra, and its associates in Providence, R.I. The crooks fled with duffle bags crammed full of cash, gold, silver, stamps, coins, jewels and high-end jewelry. The true value of the loot has always been kept secret, partly because it was ill-gotten to begin with, and partly because there was plenty of incentive to keep its true worth out of the limelight. It's one thing for authorities to admit they didn't find a trace of goods worth from $3 million to $4 million, and entirely another when what was at stake was more accurately valued at about $30 million, the equivalent of $120 million today. It was the biggest single payday in the criminal history of the Northeast. Nobody came close, not the infamous James "Whitey" Bulger, not John "The Dapper Don" Gotti, not even the Brinks or Wells Fargo robbers. The heist was bold enough and big enough to rock the underworld to its core, and it left La Cosa Nostra in the region awash in turmoil that still reverberates more than forty years later. 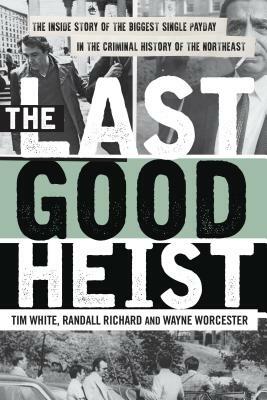 Last Good Heist is the inside story of the robbery and its aftermath. Tim White is a prize-winning investigative reporter for WPRI-TV, the CBS affiliate in Providence; Randall Richard is a former investigative reporter and international correspondent for the Providence Journal and national reporter at the Associated Press, and Wayne Worcester is a former reporter and editor at the Providence Journal, novelist, essayist and now a journalism professor at the University of Connecticut.